As part of Record Store Day 2012 (Saturday, April 21), we’re excited to announce that we’ve partnered up with our good friends at Saki Records in Logan Square to bring you a full day of in-store performances and MORE! 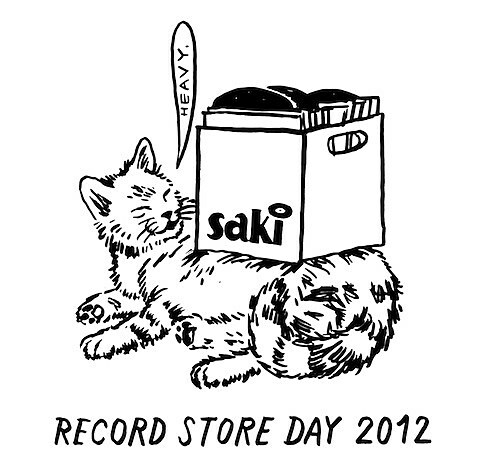 For those of you who will be searching for RSD’s many exclusives, Saki will open up 9AM. The specific releases they’ll be carrying can be found HERE. In-store performances will begin at 1PM and continue up until 9PM. CHIRP Radio DJs will be spinning records between sets all day long. We’ll also have a ton of prizes to raffle off, including: passes for The Logan Theater, gift certificates for New Wave Coffee, LPs from Whistler Records, concert tickets and poster coupons for Metro, and more TBA. Hang onto your Saki RSD receipt for exclusive deals from other local businesses, such as: $10 off labor at Shake Shop, One free PBR from The Burlington, 10% off at Bucket O’ Blood Books & Records, One free small drip coffee from New Wave, and you guessed it.. more TBA. Aside from DJing all day, CHIRP will also be running a Plinko-style game with prizes. The Tamale Spaceship food truck will be parked outside all day, serving up delicious treats.